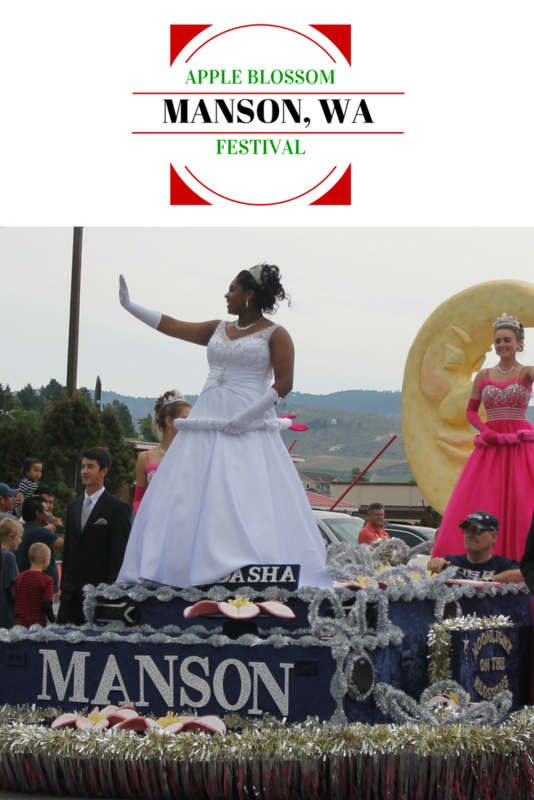 This past weekend, the charming hamlet of Manson, Washington celebrated their 96th annual Apple Blossom Festival. A rural community located on the shores of Lake Chelan, Washington’s largest lake, Manson is best known for its vineyards, orchards, and outdoor recreation ranging from golf to fishing, hiking, biking, and kayaking. 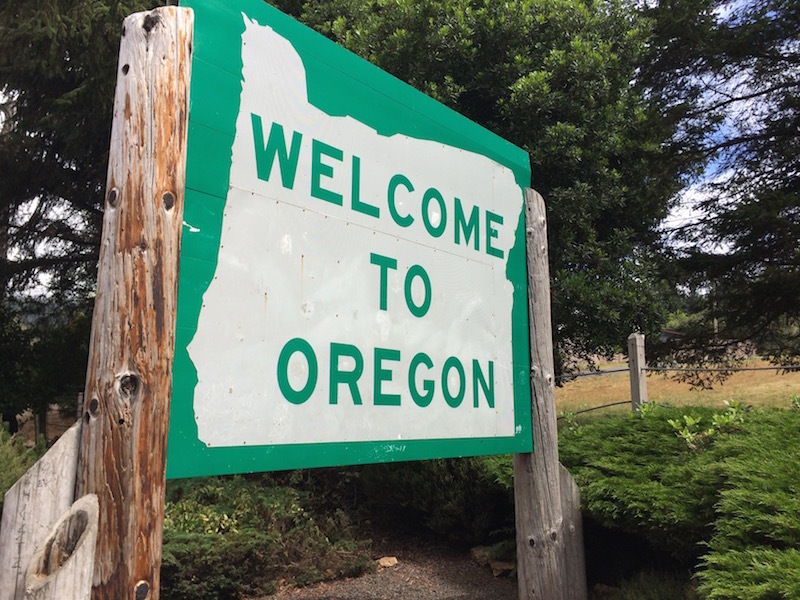 While Manson is a popular summertime vacation destination for residents across the Pacific Northwest, mid-May is a lovely time to experience the region in a way the locals enjoy their hometown before throngs of tourists roll into town. 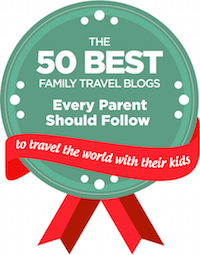 Tip: Looking for a place to stay? We loved the Mountain View Lodge. You can read our full review in this story. Growing up in a farm community in rural Michigan, I felt an immediate connection with Manson. To begin, the town has one grocery store, a handful of gas stations, and no traffic lights. 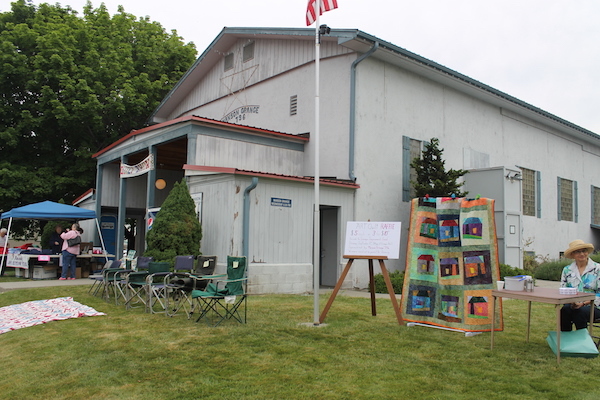 Neighbors greet each other by name and the tidy lawn in front of the community center reflects a sense of sense of pride in local government as well as the importance of a “gathering place”. 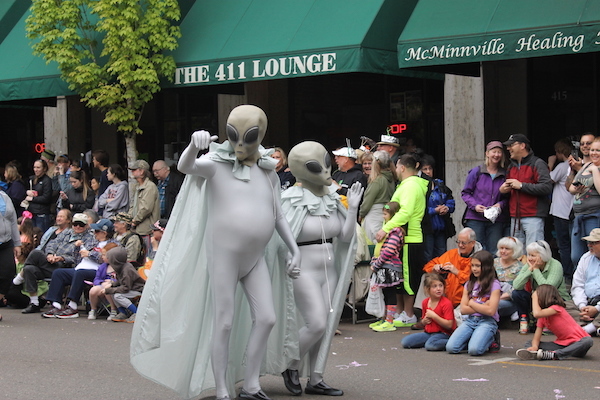 This year’s Apple Blossom Festival theme was Moonlight on the Blossoms. Festivities began on Friday, May 13 with an edible apple competition, student art show, and high school pageant featuring the crowing and royal proclamation of this year’s Royal Court. 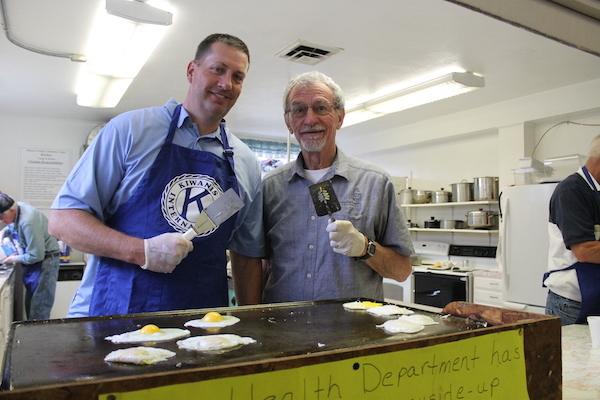 Saturday began bright-and-early with a pancake breakfast served by the local Kiwanis International club in the basement of the Mason Grange Hall. Club members flipped blueberry and apple pancakes, browned ham, and served eggs “made to order.” Other early morning activities included the 2K and 5K Pig Jig Fun Run, a street fair, community art fair, and quit show featuring the collection of local quilter Debbie Jones. A festival highlight was clearly the parade; people began setting up chairs along Manson Boulevard around mid-morning. 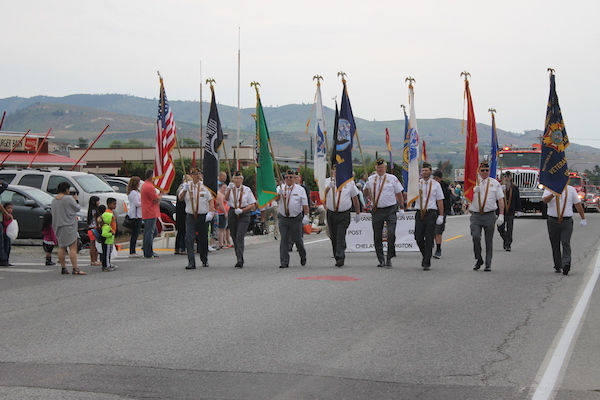 Announced at 11am with the ringing of the town’s emergency-sirens, the main event was led by a row of decorated military veterans proudly marching the full length of town. Running the better part of an hour, the parade featured several middle school marching bands, fire trucks, civic leaders, and adorable preschoolers decorated like potted plants. 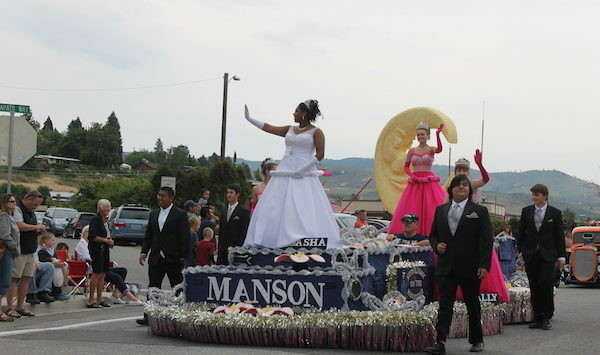 The 2016 Royal Court appeared on a float decorated in apple blossoms and a slumbering crescent moon. 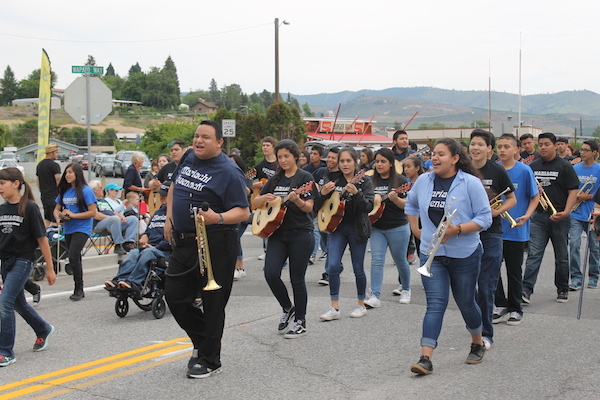 Influenced by a strong Mexican-American culture, the parade featured both student and adult Mariachi bands. 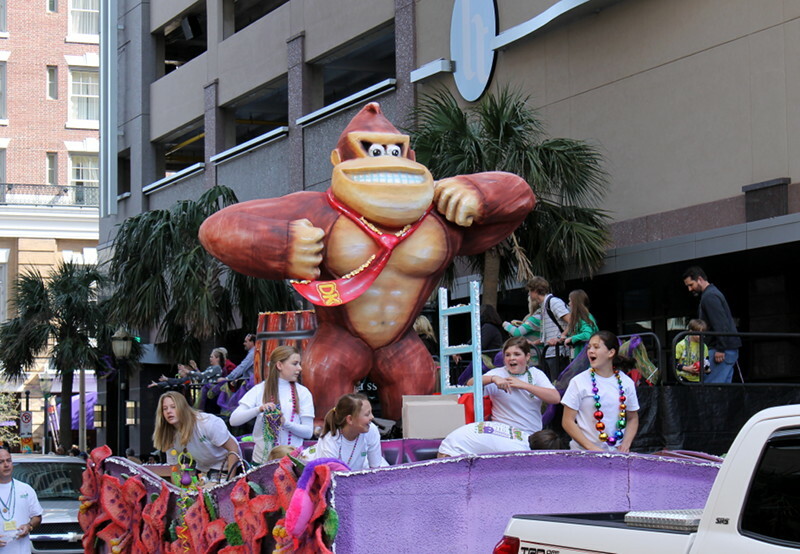 The energy and enthusiasm in the student band was infectious; this was my favorite part of the entire parade. 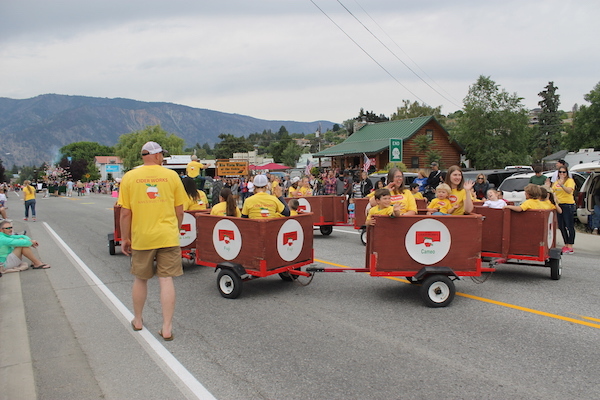 Of course, you can’t have an apple blossom festival without a bunch of parents and kids in a train of apple carts pulled behind an iconic green and gold John Deer tractor. Following the parade was a filling chicken noodle dinner served at the NorthShore Church. Community members donate homemade pies for dessert, this is truly the highlight of the entire meal. Afternoon activities ranged from a 3-on-3 basketball tournament, performances by a local clown, a high school fundraiser involving a helicopter and golf balls (!) and remaining food, street, and art vendors.